U.S. 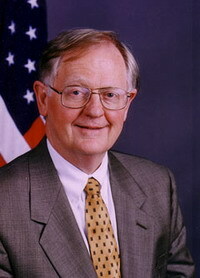 Ambassador Victor Ashe will remain in Poland through the end of President George W. Bush's term in January 2009. The former mayor of Knoxville, Tennesse, and state lawmaker said in April he was prepared to return to Tennessee later this year, assuming he would serve the average three-year term for ambassadors. But Bush, through an aide, asked him to stay, and Ashe said yes. "It is a great honor to stay here for basically another year and a half," Ashe told The Knoxville News Sentinel's Washington bureau in a phone interview from Warsaw. "There's a lot going on here that I'm happy to continue working on." The extended tour gives Ashe a chance to be part of planning a possible U.S. missile defense system in Poland. Bush plans a visit to Poland in about two weeks. Ashe was sworn in as ambassador June 23, 2004.